The Stadium Award Series soccer award is eye-catching, modern, and lively. This medal features the word "Soccer" at the base, with a soccer pitch and soccer balls creating a dynamic design. 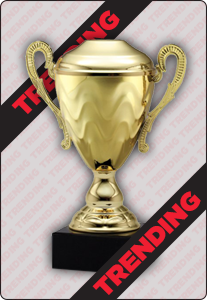 Engrave this trophy for a truly personalized message to your team members.